COLUMBUS — Don’t be surprised if Ohio doesn’t know who its next governor will be when you wake up Wednesday morning. And don’t be surprised if Richard Cordray’s support of the controversial Issue 1 ends up determining his fate in becoming Ohio’s next chief executive. Polling in the final days of the governor’s race shows a contest too close to call with Republican Mike DeWine holding a 39.4 percent to 38.8 percent lead over Democrat Cordray. The undecided vote is huge, with nearly 17 percent of the likely voters surveyed by Baldwin-Wallace University saying they are still unsure how they will mark their ballot. Another 6 percent supported other candidates. The poll was conducted one week before Election Day and has a margin of error of plus or minus 3.8 percentage points. Cordray is one of the few public figures backing State Issue 1, which has seen its support nosedive in the polls. It’s gone from a lead of 48-30.5 percent just 24 days ago to 43-39.8 percent last week. The proposed Constitutional Amendment seeks to eliminate prison time for low-level, non-violent drug offenders in exchange for more and better drug treatment programs and facilities. In opposing Issue 1, DeWine lines up with most judges, prosecutors, police, firefighters, the state bar association and county commissioners across the state. They argue that without the threat of prison or jail time, there’s little incentive for addicts to seek treatment. Both candidates sat down with The Lima News Editorial Board in mid- to late-October. 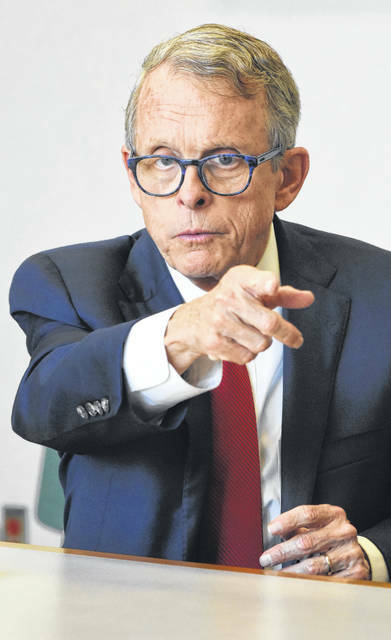 DeWine, 71, of Cedarville is the current Ohio Attorney General, in office since January 2011. Prior to that he served as a U.S. Senator, lieutenant governor, U.S. Congressman, a state representative and state senator. He’s also a former Greene County prosecutor. Cordray, 59, of Grove City, has been a member of the Ohio House of Representatives, solicitor general of Ohio, treasurer of Franklin County, Ohio State treasurer, Ohio attorney general and the first director of the Consumer Financial Protection Bureau under Presidents Obama and Trump. DeWine and Cordray have run against each other before in an election, with DeWine narrowly defeating Cordray in 2010 for Ohio Attorney General. They spoke candidly about a host of issues facing the next governor. Both candidates agreed there’s a “skills gap” between the many jobs that employers have available and the abilities of Ohio’s unemployed and underemployed. DeWine touts his “Ohio Prosperity Plan,” which he says would ensure that high school students are either college-ready or career-ready when they graduate. People would be able to earn occupational licenses and industry certificates to obtain the skills for high-tech jobs, he said. Regional job-training partnerships with businesses, educators and community leaders would be created. Cordray said his administration will focus on improving worker skills by utilizing public and private partners on job-training opportunities. He spoke of providing more two-year degrees, apprenticeships and certification programs. Neither candidate talked of a situation in which they would raise taxes. “We don’t need to turn back the clock and raise taxes on hard-working Ohioans or our job creators,” DeWine said. Cordray wants to work with a legislative committee to review state tax breaks to ensure they truly strengthen the economy and result in putting more money in the pockets of middle-class Ohioans. DeWine says he would sign the stringent restrictions on the so-called heartbeat abortion bill while Cordray says he would veto it. Cordray says he’ll restore state funding and “end the war on local government and community services” by tapping into the state’s nearly $2.7 billion rainy day fund. DeWine believes the best purpose for the state’s rainy day fund is to be used as a savings account that can be tapped during economic downturns. Both candidates called Gov. John Kasich’s JobsOhio program a success, although Cordray wants to see a greater emphasis placed on assisting small- and medium-sized businesses to become a leading source of new jobs. Each agreed Ohio should invest more in early childhood health and early childhood education programs. Both said they would veto a bill that calls for making Ohio a “right to work” state where union membership is optional. Cordray said he would block any attempts by Republicans in the General Assembly to roll back Medicaid expansion. DeWine said he would not curb Medicaid, but would push a “work and/or wellness initiative” to contain costs. Both DeWine and Cordray talk of bringing all stakeholders to the table to ensure a healthy Lake Erie and Grand Lake St. Marys. Cordray calls the problem with algae blooms “inexcusable.” DeWine emphasizes future regulations need to be based on sound science. With 17 percent of voters still undecided on their vote for governor, both parties are working overtime to win their support and get them to the ballot box. Who wins that battle will likely crown the new governor. That brought the current and former U.S. vice presidents to Ohio in the final days of the campaign. Former Vice President Joe Biden rallied Democrats in Youngstown on Monday while current Vice President Mike Pence whipped up Republican support in Mansfield on Wednesday. Only one Democrat — Ted Strickland in 2006 — has won an Ohio’s governor’s race in the last 28 years. Republicans notched victories with John Kasich in 2014 and 2010, Bob Taft in 2002 and 1998, and George Voinovich in 1994 and 1990. Republicans hold 26 of the 36 governor offices up for election Tuesday while Democrats hold nine. There is one independent governor — Alaska’s Bill Walker. Besides Ohio, seven other governor races are “too close to call.” They are Florida, Georgia, Wisconsin, Iowa, Kansas, Nevada and Maine. MIKE DEWINE: We dont need to turn back the clock and raise taxes on hard-working Ohioans or our job creators. 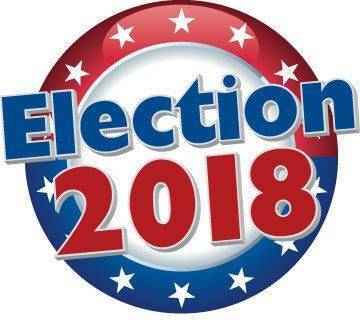 https://www.thebellvillestar.com/wp-content/uploads/sites/39/2018/11/web1_Mike-DeWine_03co.jpgMIKE DEWINE: We dont need to turn back the clock and raise taxes on hard-working Ohioans or our job creators. RICHARD CORDRAY: Our current system in Ohio isnt working. It is devastating communities across the state. 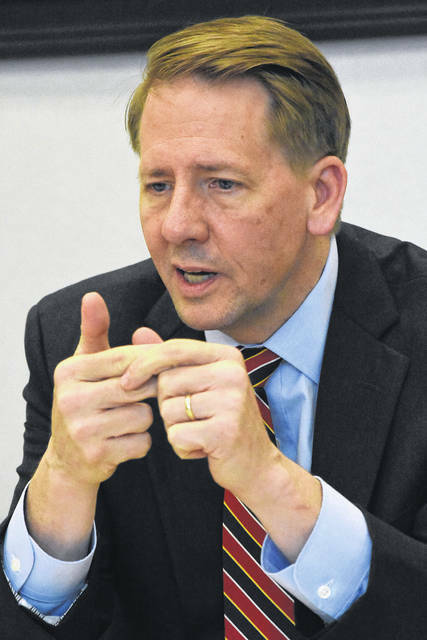 https://www.thebellvillestar.com/wp-content/uploads/sites/39/2018/11/web1_Richard-Cordray_06co.jpgRICHARD CORDRAY: Our current system in Ohio isnt working. It is devastating communities across the state.